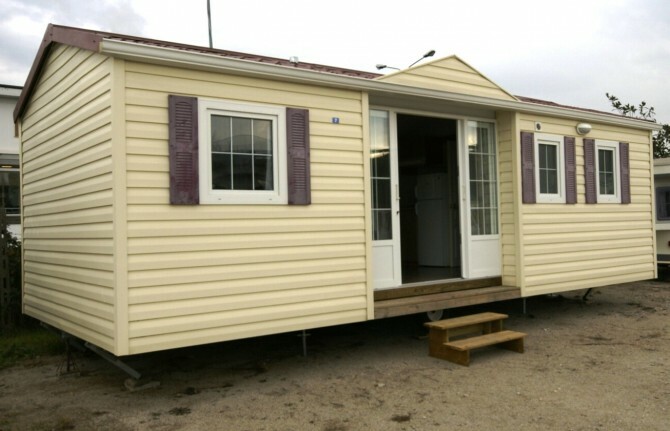 Mobile home O’HARA 865 S 2 berth 8,65×4,25 mq – Bologna. 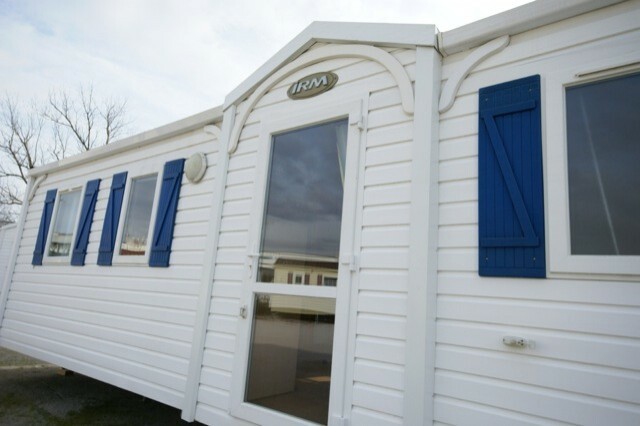 O’HARA 865 S 2c / 2berth mobile home, new, insulated, with double glazing and two bathrooms. 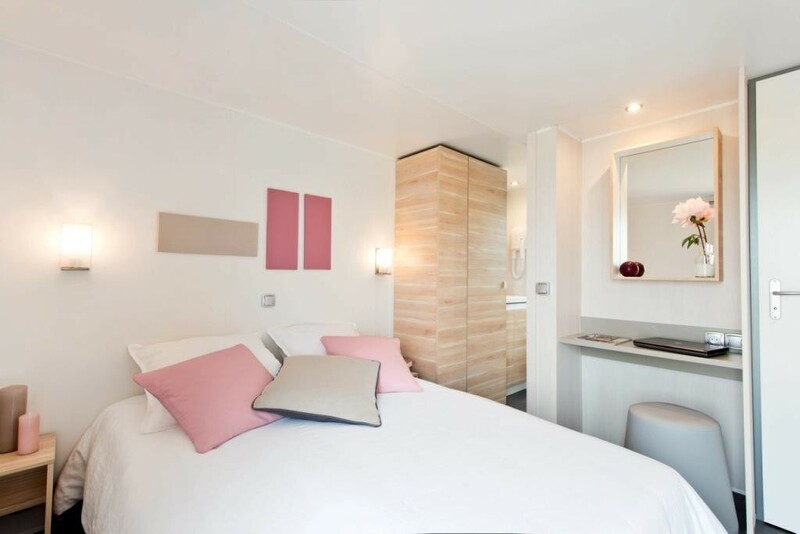 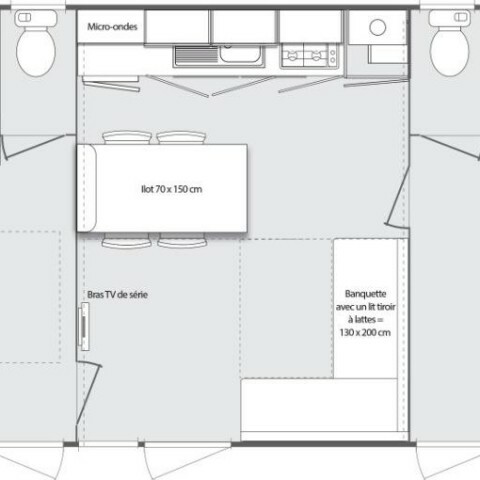 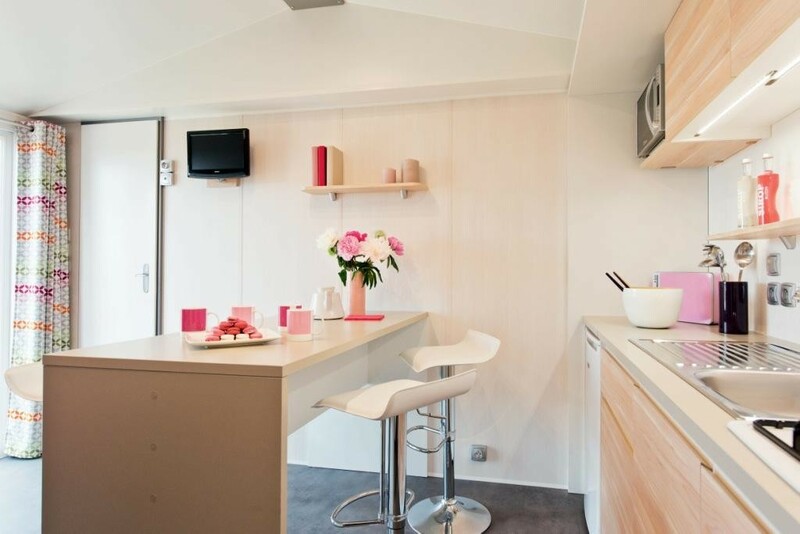 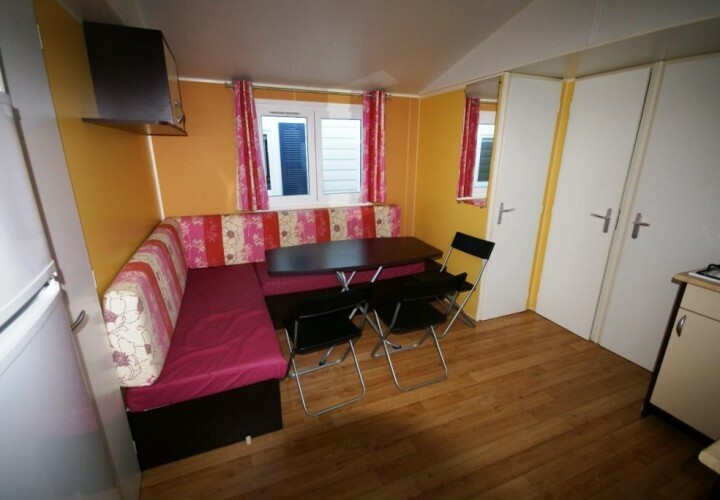 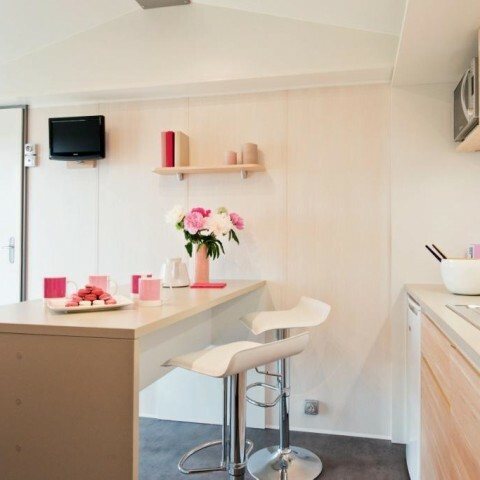 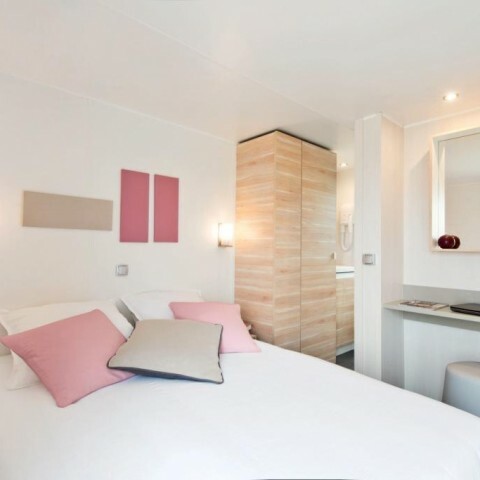 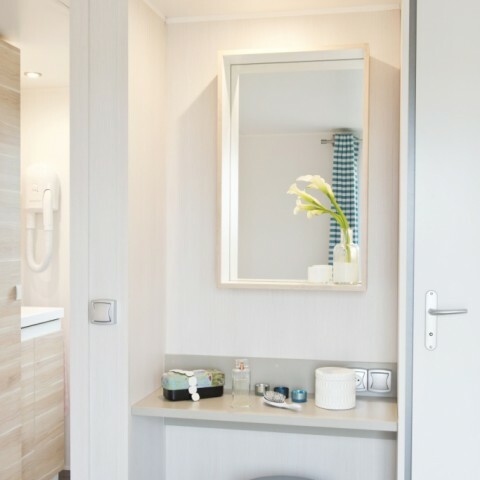 The mobile home, for 4/6 people, consists of: 2 bedrooms + sofa bed, 2 bathrooms complete with XXL shower and sink, 2 separate toilets, cozy living room and integrated kitchen with central island. 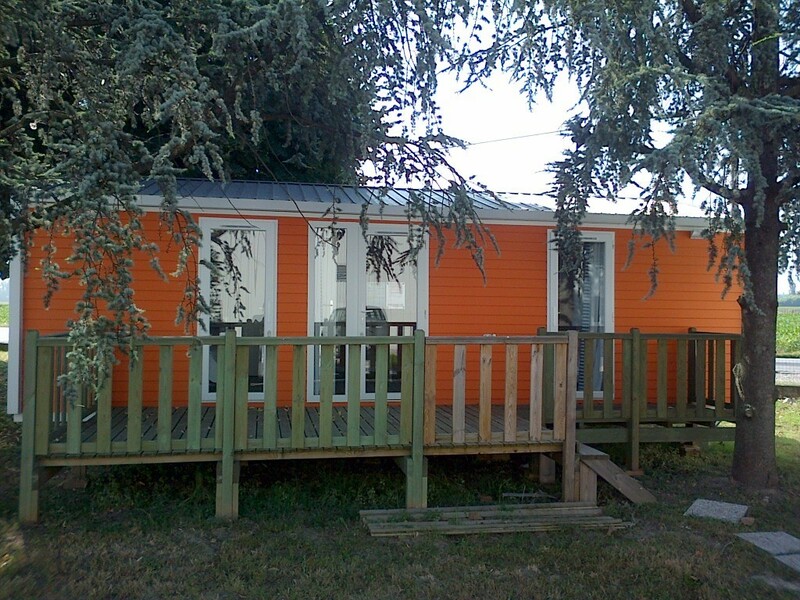 Colour: outer covering (bardage) + orange + black roof turquoise sofa striped curtains + blue / white + hood.